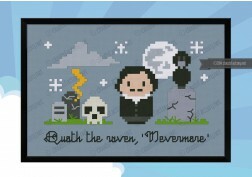 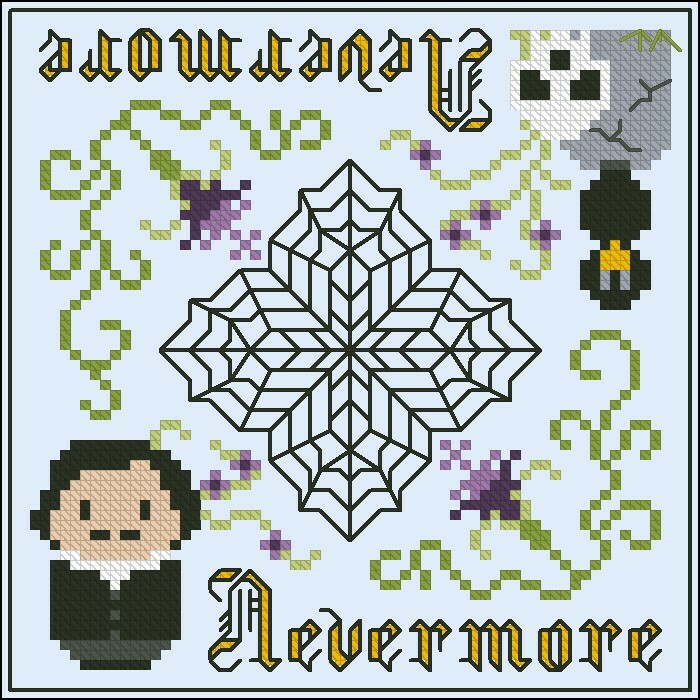 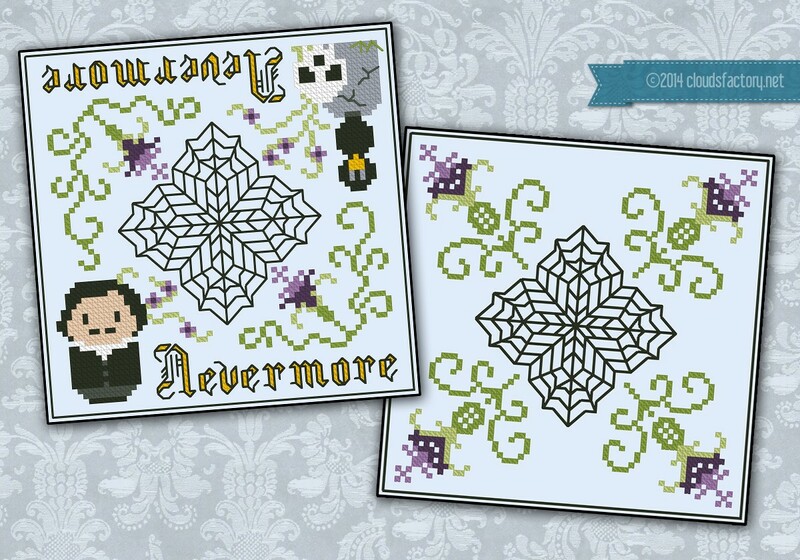 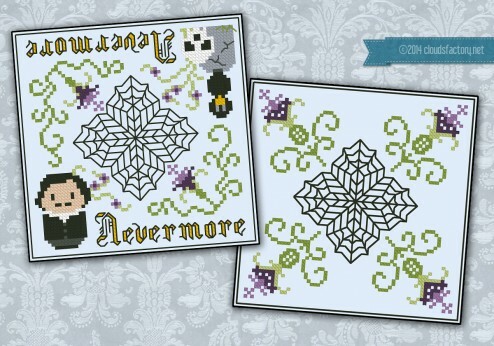 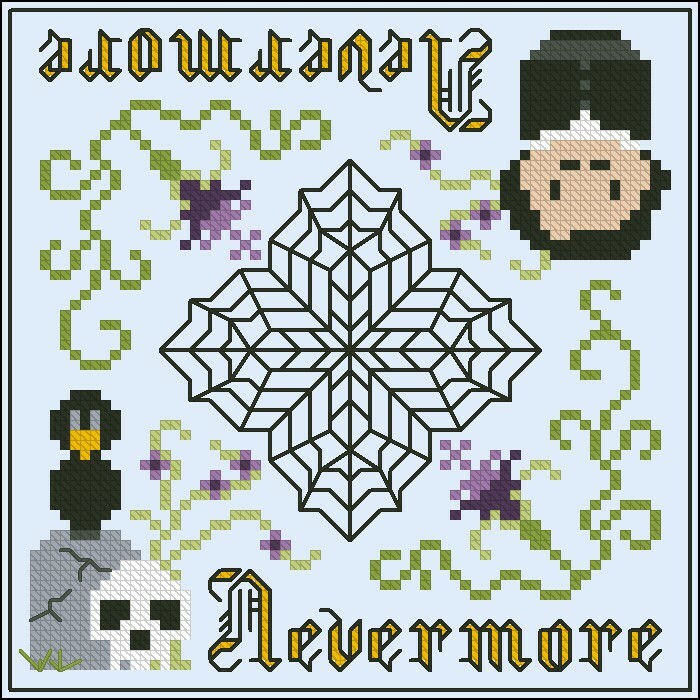 This is a series of biscornu patterns dedicated to Edgar Allan Poe. 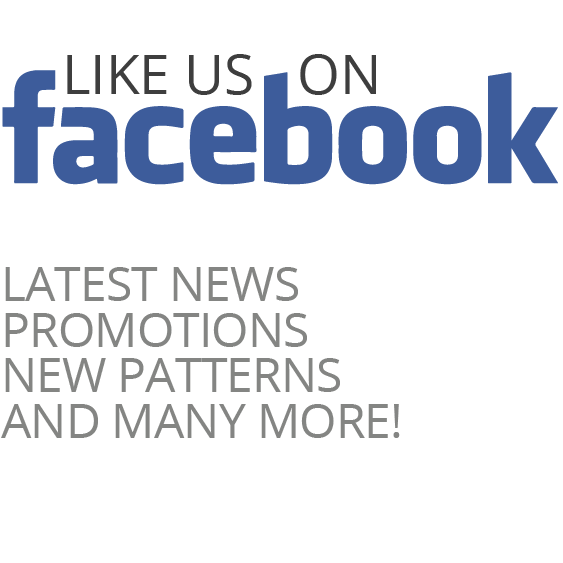 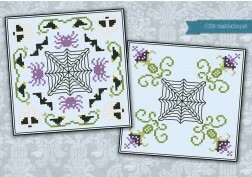 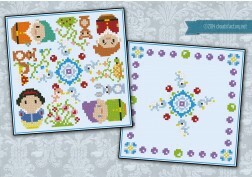 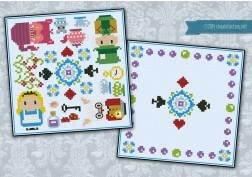 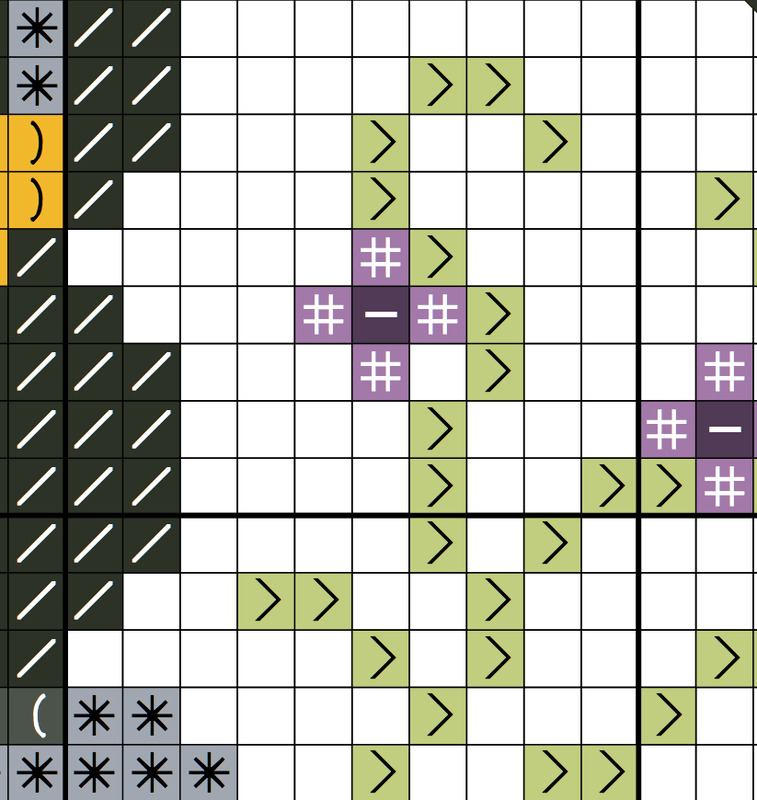 The finished size of each chart on 14 count aida cloth or evenweave is 5" square. 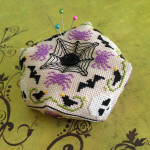 When sewn together as a biscornu, the pincushion is 4.5" in diameter and 2" high. 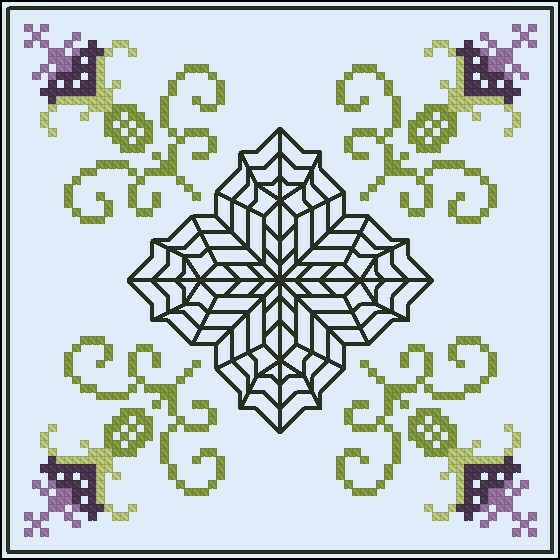 If you choose to use a different fabric, your finished size will vary.